Pretoria - They may still be shell-shocked at the whipping they took at the hands of the Chiefs, but the Bulls believe they will automatically be up to the task when they face the Sharks in their Super Rugby derby in Durban on Saturday. According to supersport.com, the Bulls are of the belief that local derbies automatically raise the level of play in any team, and therefore couldn’t have asked for a better opponent to face the week after such a poor performance. In recent times their record in Durban makes for some good reading and this will spur them on when they take on their rivals this weekend. 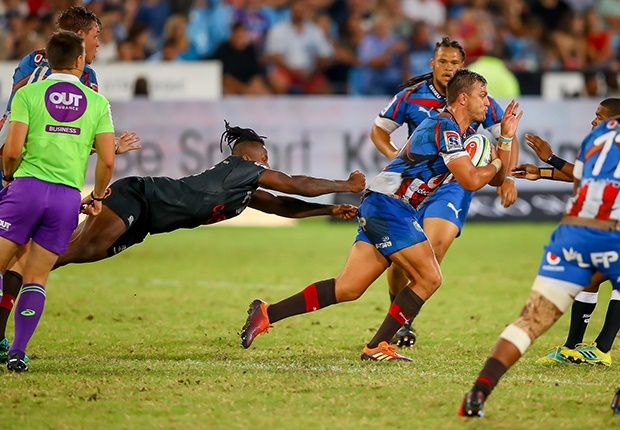 Assistant coach Chris Rossouw didn't want to dwell too much on the 56-20 loss to the Chiefs, other than saying it was one of those occasions of when things go wrong on the field, it is hard to stop. “Whenever you play a South African derby, you are up for it and we are very excited to go down to Durban. In terms of losing confidence, I think in this competition - on any day you can take 50 against any team. You reach a point where the dam wall breaks and you can’t stop it. With the Stormers, they aren’t a bad side and it happened against us. Despite the scoreline being the obvious counter, Rossouw believes the team actually attacked well against the Chiefs. Their finishing and handling let them down badly at crucial times, stunting their ability to make a game of it against a side that played at pace. “If you look at Saturday’s game, we attacked very well because they have a sliding defence. We made the yards, but the problem was we didn’t convert and we lost balls at critical times. If you look at all the opportunities we created, the nice thing is somewhere that is going to click and we will get the reward. The sticky weather will be a factor and the Bulls tactical kicking has been good thus far in the competition, bar the Chiefs game. This will be a key area as well on Saturday. “Any team that goes to the Shark tank, knows it's about tactical kicking and if you go into contact the ball slips out. You will have to plan well, and make sure that you convert on the day. The Bulls will name their side on Wednesday and time will tell if the lessons learnt will do them well in Durban. But the men from Pretoria will be more than happy they are facing familiar foes this Saturday (15:05 kick-off).